Ok. Yes, Easter is over… Now what to do with all those extra plastic eggs? 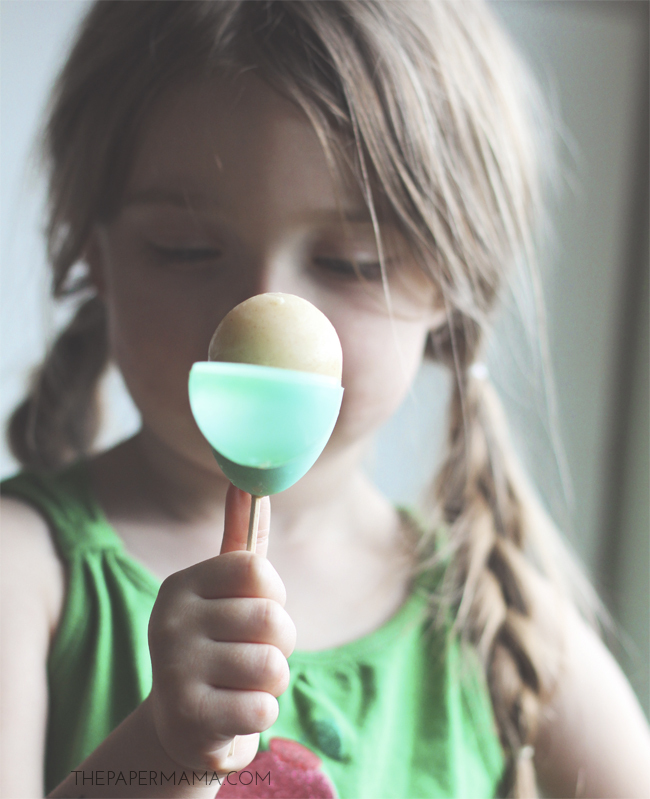 I saw this blogger make these, so I had to try it: Plastic Egg Popsicle. My kiddo is sort of on a candy-addictive-craze right now, and I think we need to do a little tricking in the sweet treat department. The pops I created are made from yogurt, applesauce, cinnamon, and the teensiest bit of honey. Since it’s a frozen pop, my daughter thinks it’s some amazing sugar filled dessert. I win! Yay! Seriously though… That kid gets so grumpy/insane if she has too much sugar. Anywho, here’s how you can make your own. Blend the ingredients together in a bowl. 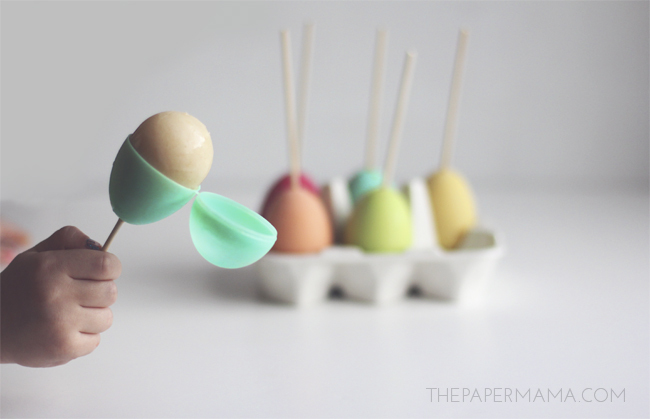 Freeze in Popsicle forms or in the plastic egg pops I made for 24 hours. 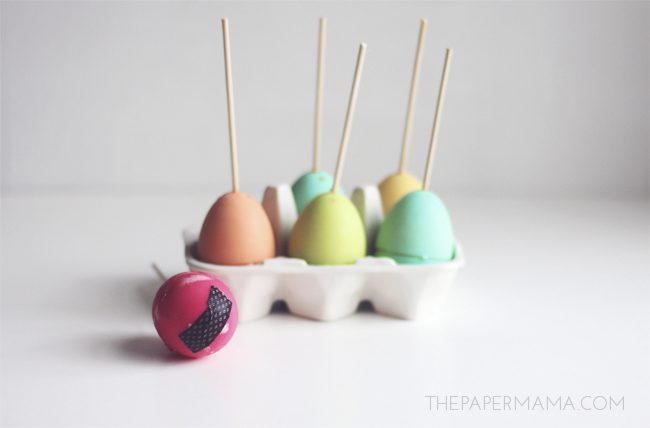 Check out the directions below for my egg pops. That recipe filled 5 eggs for me, increase the recipe if you want more pops. 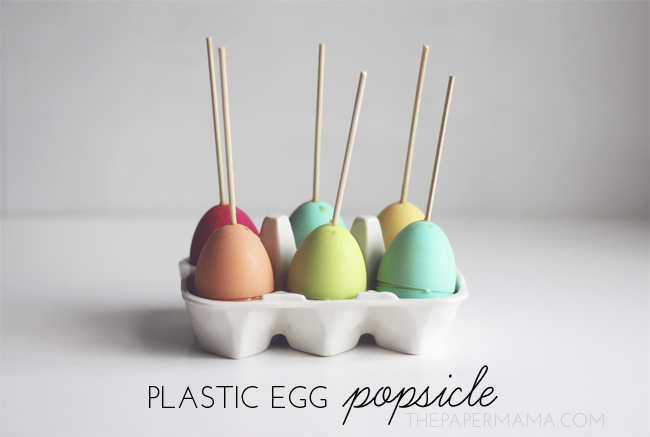 – Use the hammer and nail to put a hole in the bottom of the pointy egg side, add another small hole next to the skewer hole, if there aren’t holes there already (you need this extra hole to release pressure when pouring in the Popsicle mixture). Repeat with all your eggs and wash all the eggs with soap and water. Dry the eggs. – Cut the skewers in half (and cut the points off). 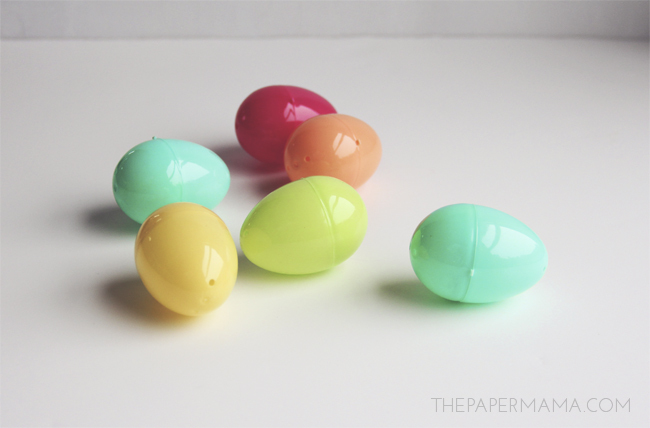 – If your plastic eggs are like mine and have little holes in the bottom, use the washi tape to block the holes. – Prop your eggs up in something, I used an egg carton. Pour the Popsicle mixture into the plastic bag. Trim off the tiniest corner at the bottom of the bag. Squeeze the mixture into the skewer hole of the egg. Fill the egg completely. Tap the bottom of the egg on the table to release air bubbles. Add more mixture if needed. 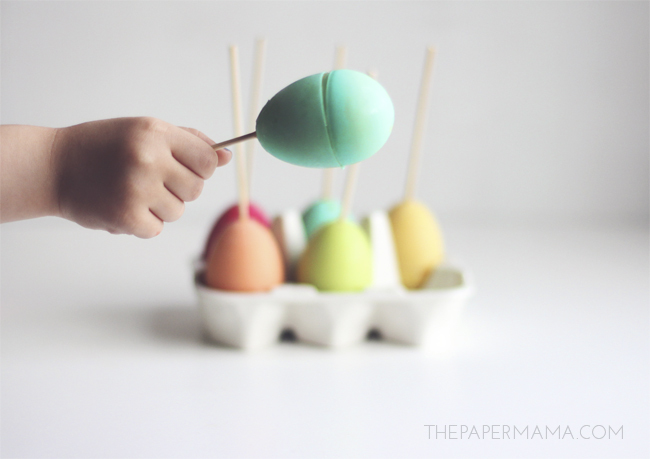 – Push the skewers half way into each egg. Pop the eggs into the freezer for about 24 hours. 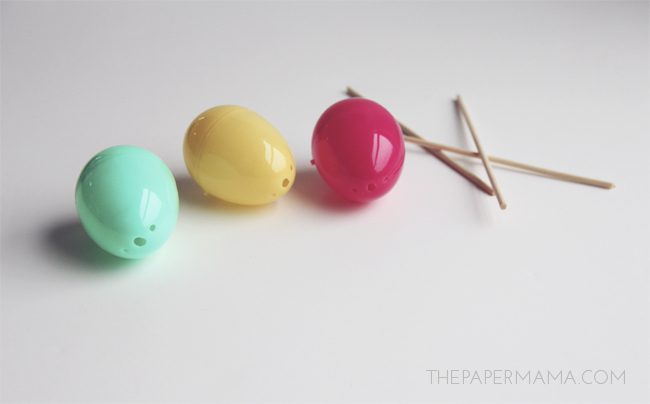 If you have trouble opening the top of the egg pop, just warm the top of the egg with your hand for a second, then open it. Enjoy!